Oil prices slumped on Aug.8 as official data showed a smaller-than-anticipated drop in American crude stockpiles, Xinhua reports. U.S. crude oil inventories fell by 1.4 million barrels to 407.4 million last week, well below the 3-million drop forecast by analysts surveyed by Bloomberg, the Energy Information Administration (EIA) said in its weekly report. Meanwhile, stockpiles of gasoline and distillates, which include diesel and heating oil, rose more than expected. U.S. gasoline inventories rose by 2.9 million barrels last week, while distillate stockpiles added 1.2 million barrels, according to the EIA. 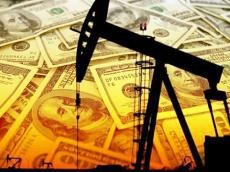 The West Texas Intermediate for September delivery dropped 2.23 U.S. dollars to settle at 66.94 dollars a barrel on the New York Mercantile Exchange, while Brent crude for October delivery lost 2.37 dollars to 72.28 dollars a barrel on the London ICE Futures Exchange.